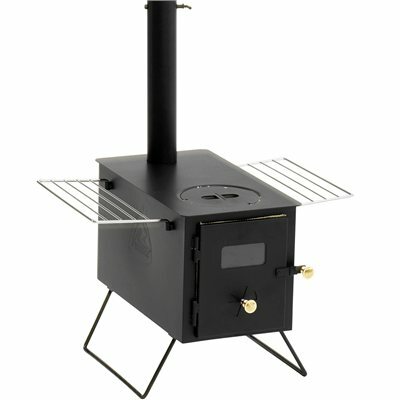 This wood-burning stove is safe, stable and easy to assemble with folding legs to reduce pack size. It has a cooking surface and glass inspection window in the door, plus door air intake for combustion control. Low height for efficient space heating, removable top plate for direct access to firebox and detachable multipurpose drying racks/shelves. Carrybag and gloves included.